Promoting a country in the international market is very expensive and requires a lot of work, but smart promoting is the key. 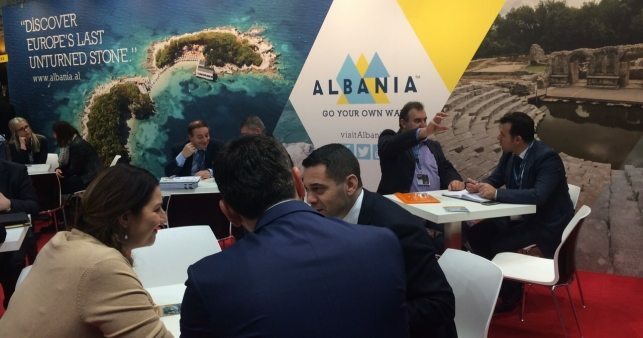 During the last years, Albania has increased its appearance in regional and international fairs and promoting events, in order to show to the world its touristic, yet undiscovered potential. Knowing the importance of this, the Albanian government has worked in promoting the country also in international media, which have presented Albania as Europe’s last corner, or as the hidden bargain of the Balkans, Europe’s last unturned stone, ect. The latest international fair Albania attended was that of ITB international fair which took place in Berlin, Germany. Besides the staff of National Agency of Coastline, present in this fair was also the Minister of Economic Development, Trade, Entrepreneurship and Tourism Arben Ahmetaj. During an interview with the international news agency Euronews, Ahmetaj highlighted the touristic values of Albania, adding that the country is continually becoming more and more attractive to European tourists. “It is about a totally different tourism,” declared the Minister. “Tourism in Albania is clean, simple and enjoyable, at low costs and very hospitable. Tourists can visit and enjoy pristine beaches, clean sand and coastline, delicious Mediterranean food and a lot of entertaining places. We offer tourism for those who do not want to spend much, for those who want an exclusive tourism and for those who want to spend more,” declared Ahmetaj for Euronews.